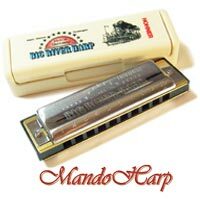 Here you will find the many different models of harmonica now available and coming up for sale soon at MandoHarp Australia. 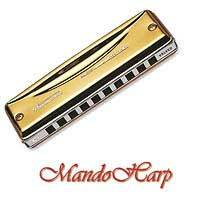 At MandoHarp Australia we have more Hohner, Seydel and Suzuki harmonica models and keys actually in stock and ready to ship to you than any other Australian retailer. As at December 2016 we have over 3500 harmonicas in stock! For models/keys we have in stock we can usually ship to you within one business day. All instruments, parts and accessories supplied by MandoHarp Australia are automatically covered by our six-month, return-to-base warranty. 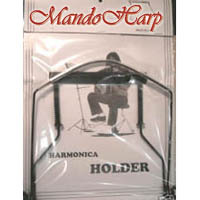 As well as the many Hohner models listed below, MandoHarp Australia is able to supply the complete Hohner range by order. 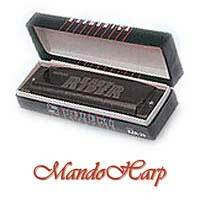 MandoHarp Australia is an authorised and accredited Hohner Sales and Service agent. 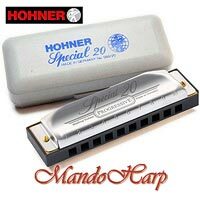 Check the Hohner web site and call (61-2-65685545) or email us (info@mandoharp.com) to order and for pricing if the model or price you're interested in is not listed below. Reed plates and other parts and accessories also available for many models. 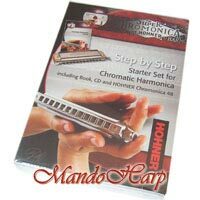 All Hohner harmonicas from Mandoharp are supplied by Kurt Jacob, the Australian Hohner Wholesale Distributors since 1938. See the current Australian RRPs for all Hohner instruments, parts and accessories at the Kurt Jacob web site here: www.kurtjacob.com.au. 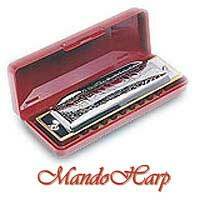 MandoHarp Australia is the only Australian Seydel Sales and Service Partner. We've significantly increased our stock levels of Seydel harmonica and accessories over the last couple of years and now have all Seydel models in stock and ready to ship to you. As well as the many Seydel models listed below, MandoHarp Australia are now able to supply the complete Seydel range by order. 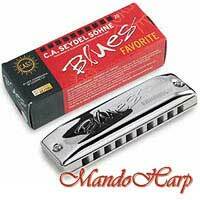 Seydel provide a larger range of tuning possibilities than any other harmonica manufacturer. Specialised tuning is available in nearly all models of the Seydel range. 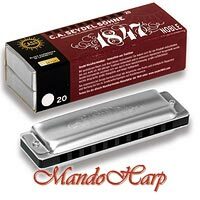 At MandoHarp we can help you with personalised expert advice on the many different tuning possibilities available from Seydel. For configurable tunings we can have your harmonicas individually hand made to your specifications in the Seydel factory in Klingenthal Germany and usually delivered to you within two weeks. Wind saver valves, Just Intonation and Equal temperament fine tuning are also available as options on all Seydel diatonic models. 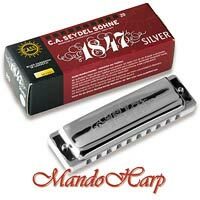 Check the Seydel web site and call (61-2-65685545) or email us (info@mandoharp.com) to order and for pricing if the model or price you're after is not listed below. Reed plates and other parts and accessories also available for all Seydel models and we keep many Seydel parts and accessories in stock. 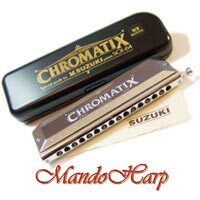 MandoHarp Australia is an authorised and accredited Suzuki agent and is the only Australian Suzuki retailer to provide the complete Suzuki range, not only harmonicas. We have the great majority of Suzuki harmonica models in stock at all times and keep a very large selection of keys in most models. 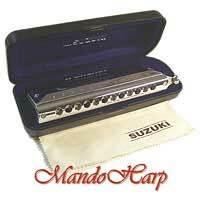 At MandoHarp Australia we are also able to provide individualised sets of Suzuki harmonicas in most models. 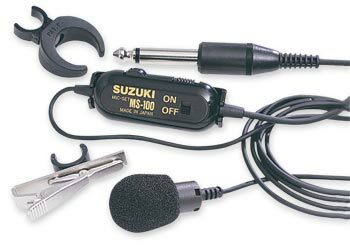 As well as the models and keys listed below we are able to supply the complete Suzuki range of harmonicas and other instruments by order. 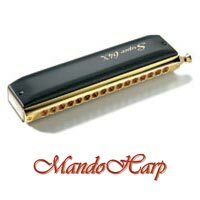 Check the Suzuki web site and call (61-2-65685545) or email us (info@mandoharp.com) to order and for pricing if the model or price you're interested in is not listed below. Replacement reed plates are available for many Suzuki models. NEW!!! SHIPPING INCLUDED TO AUSTRALIAN DESTINATIONS ON MANY MODELS!!! 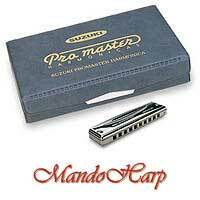 RECOMMENDED HARMONICAS 24th February 09 (updated 25th November 2015) - Many people ask me which harmonicas I recommend. I play all the major Suzuki, Hohner and Seydel diatonics but my current favourites are the Seydel 16201 1847 Classic, the Suzuki M-20 Manji or the Hohner 2009/20 Marine Band Crossover for cross harp, and the Hohner 580/20 Meisterklasse MS, the Suzuki MR-350 Promaster or the Seydel 16501 1847 Noble for straight harp. 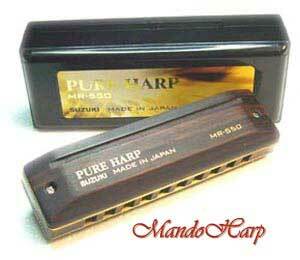 If price is no object then these are definitely the harps I recommend you try. 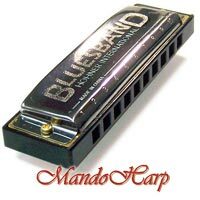 For more economic harmonicas I recommend the Suzuki MR-250 Bluesmaster, the Seydel Blues Session, or the Hohner 560/20 Special 20. 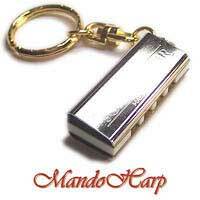 MANDOHARP NOW ON FACEBOOK!! 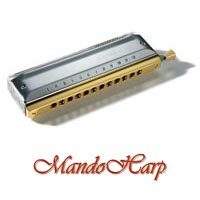 20th September 2012 - MandoHarp Australia is now on facebook. 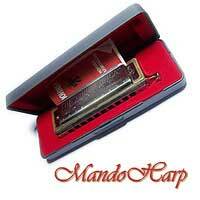 Like MandoHarp now at our new facebook page at www.facebook.com/MandoHarpAustralia. 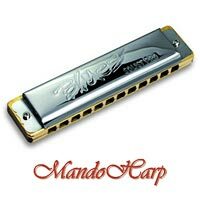 Coming soon... MandoHarp on twitter! 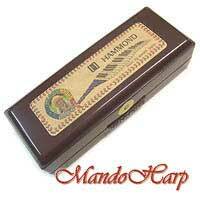 FREE WARRANTY - All MandoHarp Harmonicas are automatically covered by our free 6-month return-to-base warranty. Extended warranties and warranties for auction purchases are also available on most models. STATUS DISPLAY - An availability status (Red text in right-hand columns) has been added to each of the instrument listings below. 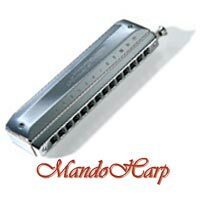 PURCHASING - Harmonicas listed as NOW AVAILABLE but not currently offered for sale from our eBay store can be purchased by placing an email (info@mandoharp.com) or phone (61-2-65685545) order. PRICING - Markdown sale prices shown below are only for direct sales with payment by Bank Transfer/Direct Deposit. Web site sale prices are generally 5-10% lower than our eBay store prices, due to the increased fees and risks inherent in eBay/PayPal transactions. PAYMENT - We only accept payment by Bank Transfer/Direct Deposit for phone or email sales. Payment for eBay sales is only by PayPal or Credit Card (MasterCard or Visa) online through the PayPal gateway. Payment by Bank Cheque/Money Order can be accepted from Australian customers, but only in exceptional circumstances and only by prior arrangement. 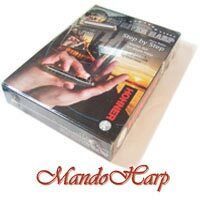 COMING SOON - Online purchasing, ordering and payment direct from our secure server at www.mandoharp.com will be available in the next major release of our web site - due early in the new year. SHIPPING - Flat rate to Australian destinations only. Up to 500g $8 by Parcel Post, $12 by Express Post. Up to 3kg $15 by Parcel Post, $17 by Express Post. We are not currently offering international shipping. We ship orders on the same day of cleared payment (if payment received before 12 noon on a business day) or on the next business day. All our harmonicas are packaged with the utmost care using recycled bubble wrap and padded post bags where necessary. Printed labels are attached to all sides of each MandoHarp package - we do our best to make it as easy and obvious as possible for the Post Office. Combined shipping discounts are applied to all multiple-item purchases. NOW IN STOCK in C - $25.75 inc ship!! NOW IN STOCK - SALE PRICE $98.10!!! BIG REDUCTION ON Bb, E and F!!! NOW IN STOCK in A, Bb, C, D, E, F and G - SALE PRICE $17.95!!! SPECIAL SALE PRICE ON Bb, E and F ONLY - SALE PRICE $13.97!!! Special Edition with transparent ABS comb. Commemorating the 50th Anniversary of the Gemini 6 mission in 1965. NOW IN STOCK in C - SALE PRICE $31 INCLUDING SHIPPING!!! Available by order in all major keys. FIFTIES LOOK WITH FULL LENGTH COVERS!!! AUSTRALIAN RRP IS $69 on Major Keys!! AUSTRALIAN RRP IS $79 on Country tunings!! Available in all major keys. Additional tunings also available. Available by order in all major keys except Ab and C#. 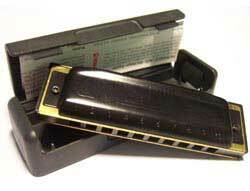 Hohner's top-of-the-line diatonic harmonica. Nickel plated brass reeds. 1.05mm reed plates. Aluminium comb. 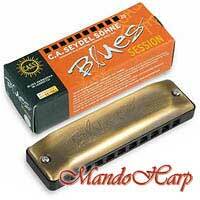 Hohner 585/20 Blues Bender P.A.C. Patented Acoustic Covers. Ideal for learning the blues and developing note bending skills. NOW IN STOCK IN A, Bb, C, D, E, F and G - $33.45!!! Available by order in all major keys except Ab, B and C#. AUSTRALIAN RRP IS $79 ON ALTERNATE TUNINGS!! Available by order in Hi-G, Natural and Harmonic Minor: Cm, C#m, Dm, Ebm, Em, Fm, F#m, Gm, Abm, Am, Bbm and Bm. Specially manufactured limited-edition collectors' model in attractive display case. Each harmonica individually numbered. Specially produced Millennium Edition in uniquely designed metal case with striking logo on black cover plates. Collectors' edition. The Hohner M2000 Millennium Edition is only available in C.
Lacquered wooden comb. Screwed reed plates. Available by order in all major keys except F#. Sealed laminated bamboo comb. Screwed reed plates. NOW IN STOCK in Ab, A, Bb, B, C, Db, D, Eb, E, F, F# and G - SALE PRICE $103.20!!! See Joe Filisko and Howard Levy play the Crossover here!! NEW DESIGN!!! LOW AND DOUBLE LOW TUNINGS!!! Sealed laminated bamboo comb. Screwed reed plates. Special reed profiling. Conical cover plates eliminate reed rattle. Hohner's top model in Low and Double Low tunings. The Hohner 2011/20 Thunderbird is only available in Low and Double Low tunings. Ergonomically designed Plastic comb with rounded sides and edges. Screwed reed plates. Wide open cover plates and channel design. NOW IN STOCK in Ab, A, Bb, B, C, Db, D, Eb, E, F, F# and G - SALE PRICE $71.20!!! See Howard Levy describe and play the Rocket here!! Ergonomically designed Green ABS plastic comb with rounded sides and edges. Screwed reed plates. Wide open cover plates and channel design. NOW IN STOCK in A, Bb, C, D, E, F and G - SALE PRICE $71.20!!! Ergonomically designed blue ABS plastic comb with rounded sides and edges. Screwed reed plates. Wide open cover plates and channel design. NOW IN STOCK in Lo-C, Lo-D, Lo-E and Lo-F - SALE PRICE $93.60!!! Available by order in Lo-C to Lo-F.
MS-Series harmonica with black gleaming comb and black covers and gold Ozzy Osbourne Logo. Unique metal box in coffin shape. NOW WITH SHIPPING INCLUDED FOR ALL AU DESTINATIONS!!! SHIPPING INCLUDED FOR ALL AUSTRALIAN DESTINATIONS!!! Reed plates and all other parts available by order. 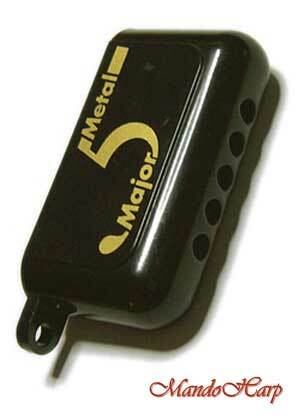 NEW: HIGH AND LOW TUNINGS NOW THE SAME PRICE AS STANDARD MAJOR TUNINGS!!! EUROPEAN RRP IS € 29.95!! EUROPEAN RRP IS € 34.71!! Extensive range of specialist tunings available. More than 440 variations available. EUROPEAN RRP IS € 49.95!! EUROPEAN RRP IS € 69.95!! Half valved using the PT Gazell method. EUROPEAN RRP IS € 59.95!! Matt-finish stainless steel cover plates. Features Major Cross tuning from Tony Eyers. Smooth-edged translucent red plastic comb. Sealed timber (beech) comb has rounded mouthpiece with oval holes. EUROPEAN RRP IS € 39.95!! 1mm screwed German silver reedplates. Stainless steel reeds. EUROPEAN RRP IS € 95.95!! 1mm German Silver reedplates. Brass reeds. More than 220 variations available. Stainless steel reeds, rivets and screws. EUROPEAN RRP IS € 74.95!! LOW TUNINGS DOWN TO Lo-Lo-E!!! Thicker comb and raised cover plates. Super Low tunings down to Lo-Lo-E.
EUROPEAN RRP IS € 79.95!! See Christelle Berthon demonstrate the 1847 Silver on YouTube here! Matted stainless steel covers with side vents. EUROPEAN RRP IS € 99.95!! DIFFERENT COMB COLOURS FOR DIFFERENT KEYS!!! Latest version of the Big Six from Seydel now provides keys A, Bb, C, D, F and G with colour selectable combs. Plastic polymer comb in six optional colours. Stainless steel reeds, rivets and screws as used on 1847 models. Lanyard and belt clip provided. Reed plates and all other parts available by order. See Christelle Berthon test drive the Big Six on YouTube here! SPECIAL PRICE ON KEY OF C FOR DIRECT SALES ONLY - $18.36!!! PHONE OR EMAIL FOR SHIPPING INCLUDED TO ALL AUSTRALIAN DESTINATIONS!!! NOW IN STOCK in A, Bb, C, D, F and G - $89.10!!! PHONE OR EMAIL TO ORDER AT SALE PRICES WITH INCLUDED SHIPPING!!! ALL MAJOR KEYS, Hi-G AND Lo-F AVAILABLE BY ORDER. Enamelled covers. Black aluminium comb. US MSRP IS $109.99 USD!!! Revolutionary composite timber-resin comb is completely waterproof yet retains the tone of a timber comb. ALL MAJOR KEYS AVAILABLE BY ORDER. US MSRP is $209 USD ($299 AUD)!!! NOW IN STOCK - SALE PRICE $517.30!!! US MSRP is $549.99 ($739 AUD)!!! NOW IN STOCK in Ab, A, Bb, C, Db, D, Eb, E, F, F# and G - SALE PRICE $42.46!!! NOW IN STOCK - SALE PRICE $223.20!!! STANDARD SET INCLUDES KEYS: A, Bb, C, D, F, G.
ALL MAJOR KEYS Hi-G AND Lo-F AVAILABLE BY ORDER. US MSRP IS $219.99 USD!!! SPECIAL REED DESIGN FOR EASIER OVERBLOWS & OVERDRAWS!! US MSRP IS $134.99 USD (APPROX $185 AUD)!! US MSRP IS $219.99 USD (APPROX $315 AUD)!! 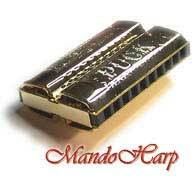 THE ONLY HARP OF ITS KIND!!! NOW IN STOCK in C in D and G - SALE PRICE $95.99!!! THIRTY REEDS ALLOW BENDING ON ALL HOLES!! Stainless Steel covers. Black plastic comb. Screwed nickel plated brass reedplates. Phosphor bronze reeds. Stainless Steel covers. Black plastic comb. 0.95mm screwed nickel plated brass reedplates. 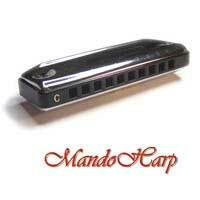 See more examples of our diatonic harmonicas here soon. 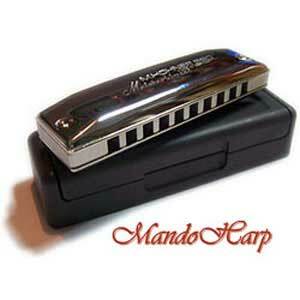 Four Lee Oskar harmonicas: C Richter, G Melody Maker, Am Natural Minor, Am Harmonic Minor. Soft Carry Case. 16-Page Quick Start Booklet. 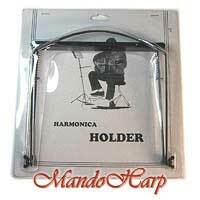 Lee Oskar Harmonica Holder. DIFFERENT COLOURED COMBS FOR DIFFERENT KEYS!!! 6 harmonica set in case with lanyard, multimedia tutorial on USB stick and Big Six Set tee shirt - Standard set includes keys (comb colours): A (lava), Bb (sky), C (oliv), D (yello), F (white) and G (black). Other comb colour choices available. STANDARD SET INCLUDES A (lava), Bb (sky), C (oliv), D (yello), F (white) and G (black). GREAT VALUE SET WITH EXCELLENT CASE!!! 7 harmonica set in soft case with slots for 14 harmonicas - Standard set includes keys A, Bb, C, D, F, G and Lo-D. Other key choices available. 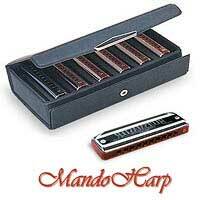 STANDARD SET INCLUDES A, Bb, C, D, F, G and Lo-D.
INCLUDES CASE FOR FOURTEEN HARMONICAS!!! 5 harmonica set in soft case with slots for 14 harmonicas - Standard set includes keys A, Bb, C, D and G. Other key choices available. Stainless steel reeds!! 7 harmonica set in soft case with slots for 14 harmonicas - Standard set includes keys A, Bb, C, D, F, G and Lo-D. Other key choices available. Stainless steel reeds!! 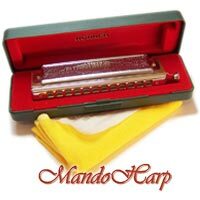 STANDARD SET INCLUDES A, Bb, C, D, E, F and G.
9 harmonica set in soft case with slots for 14 harmonicas - Choose 9 keys from the range Lo-C to F. Stainless steel reeds!! 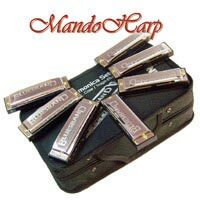 STANDARD SET INCLUDES Ab, A, Bb, C, D, Eb, E, F and G.
12 harmonica set in soft case with slots for 14 harmonicas - Choose 12 keys from the range Lo-C to F. Stainless steel reeds!! 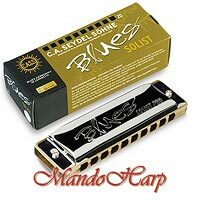 CHOOSE 12 KEYS FROM THE RANGE Lo-C TO F.
7 harmonica set in soft case with slots for 14 harmonicas - Standard set includes keys A, Bb, C, D, F, G and Blues Session in Lo-D. Other key choices available. 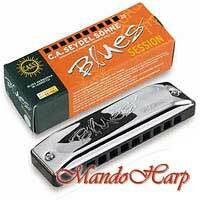 STANDARD SET INCLUDES Blues Solist Pro in A, Bb, C, D, F, G and Blues Session in Lo-D.
STANDARD SET INCLUDES Blues Favourite in A, Bb, C, D, F, G and Lo-D.
5 harmonica set in soft case with slots for 14 harmonicas - Standard set includes keys A, Bb, C, D and G. Other key choices available. 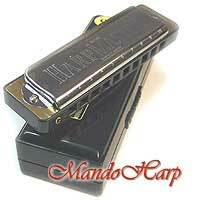 STANDARD SET OF 5 1847 CLASSIC HARMONICAS INCLUDES A, Bb, C, D and G.
STANDARD SET OF 5 1847 SILVER HARMONICAS INCLUDES A, Bb, C, D and G.
7 harmonica set in soft case with slots for 14 harmonicas - Choice of seven keys in either 1847 Classic or 1847 Silver models. CHOOSE SEVEN KEYS IN 1847 CLASSIC OR 1847 SILVER MODELS. 9 harmonica set in soft case with slots for 14 harmonicas - Choice of nine keys in either 1847 Classic or 1847 Silver models. CHOOSE NINE KEYS IN 1847 CLASSIC OR 1847 SILVER MODELS. 12 harmonica set in soft case with slots for 14 harmonicas - Choice of twelve keys in either 1847 Classic or 1847 Silver models. CHOOSE TWELVE KEYS IN 1847 CLASSIC OR 1847 SILVER MODELS. 5 harmonica set in hard-shell case with slots for 20 harmonicas and more - Standard set includes A, Bb, C, D and G. Other key choices available by order. 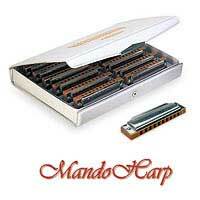 STANDARD SET OF 5 1847 NOBLE HARMONICAS INCLUDES A, Bb, C, D and G.
7 harmonica set in hard-shell case with slots for 20 harmonicas and more. 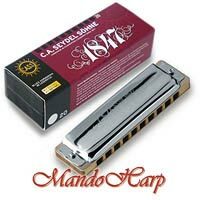 Choose 7 keys from range Lo-C through to F.
STANDARD SET OF 7 1847 NOBLE HARMONICAS INCLUDES A, Bb, C, D, F, G and Lo-D.
9 harmonica set in hard-shell case with slots for 20 harmonicas and more. Choose 9 keys from range Lo-C through to F.
CHOOSE 9 KEYS FROM THE RANGE Lo-C TO F.
12 harmonica set in hard-shell case with slots for 20 harmonicas and more. 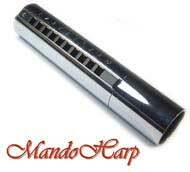 Choose 12 keys from range Lo-C through to F.
See more examples of our diatonic harmonica sets here soon. PERFECT STARTING POINT FOR LEARNING CHROMATIC!!! THE CLASSIC ALL ROUND CHROMATIC!! NOW IN STOCK in C - $341.10!! DESIGNED FOR BALLADS AND CLASSICAL!!! NOW IN STOCK in C - SALE PRICE $395.10!!! DESIGNED FOR JAZZ, BLUES AND ROCK!!! The Discovery 48 is only available in C.
REVOLUTIONARY ONE-PIECE MOUTHPIECE AND COVER DESIGN!!! Available by Order in all major keys except Ab, C# and F#. Also available in C Low. Celebrating the invention of the chromatic harmonica by Hohner in 1912. Special Limited Edition. Transparent acrylic body. Gold plated covers. Gold plated slide assembly and mouthpiece. Gold plated reed plates and screws. Luxurious genuine leather case. Handmade in Germany. Limited edition of 100 pieces. Individually serial numbered and with certificate of authenticity. NOW IN STOCK in C - SALE PRICE $1034.10!!! HOHNER'S NEW MODEL SUPER 64!!! NOW IN STOCK in C - $440! NEW MODEL - JUST ARRIVED!!! ACRYLIC BODY AND SCREWED CONSTRUCTION!!! 12 hole. Acrylic comb. Screwed reedplates. Stainless steel covers. Brass 1.0mm reedplates. Chrome plated brass mouthpiece. European RRP IS € 149.95!! Tuning configured to user specifications. 12 hole. Acrylic comb. Screwed reedplates. Stainless steel covers. Brass 1.0mm reedplates. Chrome plated brass mouthpiece. European RRP IS € 179.95!! 12 hole. Acrylic comb. Screwed reedplates. Stainless steel covers. German Silve reedplates. Stainless steel reeds. Silver plated mouthpiece with round mouthpiece holes. European RRP IS € 249.95!! Tuning configured to user specifications. 12 hole. Acrylic comb. Screwed reedplates. Stainless steel covers. German Silve reedplates. Stainless steel reeds. Silver plated mouthpiece with round mouthpiece holes. European RRP IS € 299.95!! Signature design from Gregoire Maret. US MSRP IS $1049.99 USD!! US MSRP IS $1099.99 USD!! Silver coated brass mouthpiece. Brass weighted comb. US MSRP IS $999.99 USD!! Silver coated brass mouthpiece. Brass weighted comb. Cross slide alignment. US MSRP IS $1069.99 USD!! Silver coated brass mouthpiece. Brass weighted comb. Straight slide alignment. Silver coated brass mouthpiece. Chromed brass cover plates. Brass weighted comb. Cross alignment slide. US MSRP IS $1999 USD!! 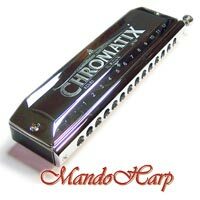 See more examples of our chromatic harmonicas here soon. SALE PRICE $138.60 inc ship!!! SALE PRICE $195.30 inc ship!!! SALE PRICE $102.60 inc ship!!! SALE PRICE $117 inc ship!!! SALE PRICE $127.80 inc ship!!! ONLY WHILE STOCKS LAST! 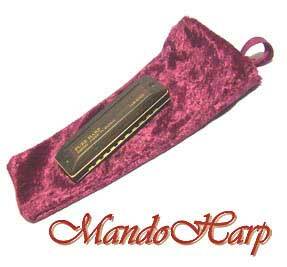 Email info@mandoharp.com or phone 61-2-65685545 to order. SALE PRICE $37.80 inc ship!!! European RRP IS € 36.95!! 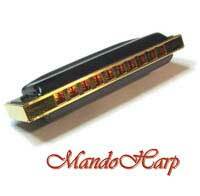 Email info@mandoharp.com or phone 61-2-65685545 to order. European RRP IS € 45.95!! 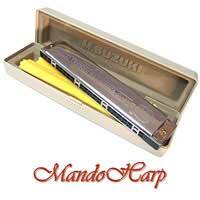 Email info@mandoharp.com or phone 61-2-65685545 to order. 48-Reed. Acrylic body. Stainless steel covers. 1.0mm German silver screwed reedplates. Round-holed stainless steel mouthpiece. Stainless steel reeds. Optional clip-on stainless-steel megaphone also available. European RRP IS € 199.95!! 48-Reed. Polymeric comb. Solo-tremolo tuning. Stainless steel covers. 1.0mm German silver screwed reedplates. Stainless steel reeds. 48-Reed. ABS plastic comb. Richter tuning. Stainless steel covers. 1.0mm German silver screwed reedplates. Stainless steel reeds. European RRP IS € 89.95!! 48-Reed. ABS plastic comb. Harmonic Minor tuning. Stainless steel covers. 1.0mm German silver screwed reedplates. Stainless steel reeds. US MSRP IS $71.99 USD!! 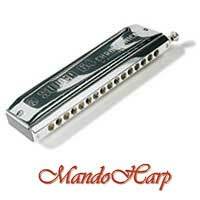 See more examples of our tremolo harmonicas here soon. NOW IN STOCK in A, Bb and E - SALE PRICE $114.95!!! ONLY available in keys shown while stocks last! Stainless steel reeds. 40-Reed. Curved ABS plastic comb. Rounded stainless steel covers. 0.9mm German silver screwed reedplates. Windsaver valves. 40-Reed. Plastic Body. Stainless steel covers. 0.9mm brass screwed reedplates. Windsaver valves. 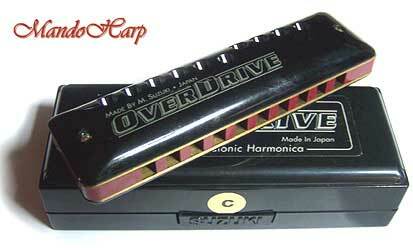 See further examples of our octave harmonicas here soon. CURRENTLY AVAILABLE IN SILVER FINISH ONLY Email or phone to order. 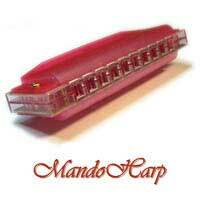 AVAILABLE IN RED, GREEN, BLUE OR YELLOW Email info@mandoharp.com or phone 61-2-65685545 to order. NOW IN STOCK in C/G - $54!!! 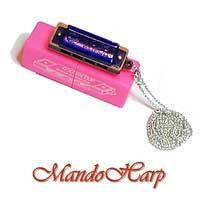 See more examples of our miniature harmonicas here soon. NOW IN STOCK in C in D and G - SALE PRICE $107.99!!! 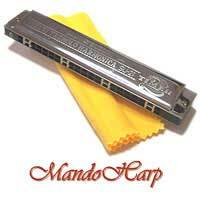 See other examples of our specialty harmonicas here soon. 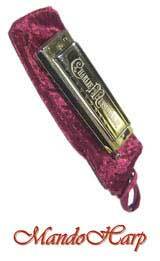 See more examples of our historic reissue harmonicas here soon. PHONE OR EMAIL US TO ORDER. 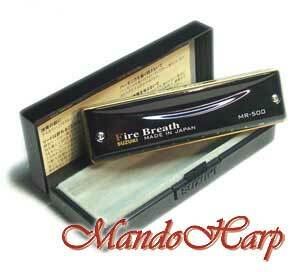 Email info@mandoharp.com or phone 61-2-65685545 for further information. Large format hard-back 150th Anniversary book from Hohner. Full of big and spectacular colour pictures of rare and unusual harmonicas from the Hohner Museum. Informative table of all Hohner models in rear. AWAITING STOCK - $68.95 inc ship!!! For BIG SIX diatonics only. FIT HARPS, MIC, LEADS ETC!!! For 12-hole chromatics and tremolos. For 16-hole chromatics and tremolos. An amazing new collection of 52 blues CDs with a 28-page booklet and over 1000 tracks from more than 100 artists. Special First Edition pack also includes a Historic Puck Harmonica. FROM THREE-TIME GOLDEN HARMONICA CHAMPION!!! Wonderful first album from New Zealand professional Harmonica player Nola Mills. NEW CD FROM NOLA MILLS!!! Live Jazz harmonica at its best from Nola Mills with oustanding Christchurch Jazz Quartet led by Barry Brinson! NOW IN STOCK in Banana Yellow, Red, Green or Blue. 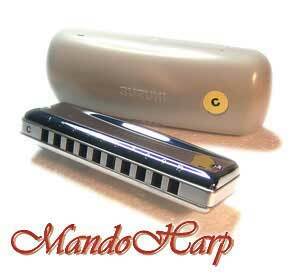 HOHNER'S LATEST MODEL - NOW IN STOCK!!! AWAITING STOCK - SALE PRICE $94.05 inc ship!!! NOW IN STOCK - $45.95 inc ship!! NOW IN STOCK - $35.50 inc ship!! NOW IN STOCK - $39.99!! 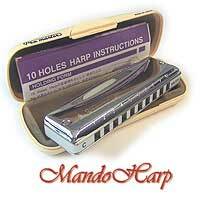 LEARN HOW TO SERVICE HARMONICAS!!! EXCELLENT INSTRUCTIONAL BOOK AND CD WITH HARMONICA!!! PHONE OR EMAIL US FOR SHIPPING INCLUDED TO ALL AUSTRALIAN DESTINATIONS!!! GREAT INSTRUCTION FOR BEGINNER CHROMATIC!!! GREAT TOOL WITH TUTORIAL ON USB!!! 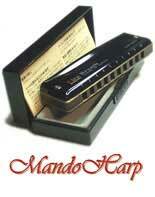 Justy diatonic harmonica with booklet (36 pages) & video workshop for children from 6 - 99 years. NOW IN STOCK - $34.95!!! AVAILABLE IN WHITE OR BLACK!!! 16 tear-off adhesive lenses on card. Tactile protection and magnification for existing key labels. Fits any harmonica. 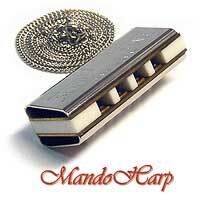 NOW IN STOCK - Email or phone to order - $7.50 Email info@mandoharp.com or phone 61-2-65685545 to order. 24 self-adhesive oval labels on card. 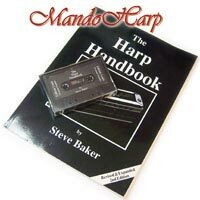 In black with key lens on each label NOW IN STOCK - Email or phone to order - $18 Email info@mandoharp.com or phone 61-2-65685545 to order. 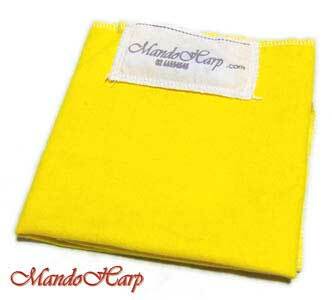 PHONE OR EMAIL FOR SHIPPING INCLUDED TO ALL AUSTRALIAN DESTINATIONS Email info@mandoharp.com or phone 61-2-65685545 to order. Available by Order for most standard models. 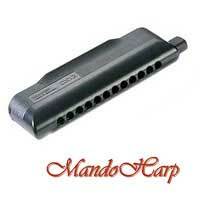 PHONE OR EMAIL FOR FURTHER INFORMATION Email info@mandoharp.com or phone 61-2-65685545 to order. Available by Order for major diatonic models. - Valves Available by Order for all standard models. 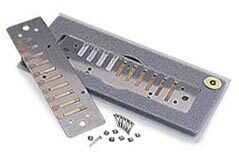 Suzuki Replacement Reed Plates Available by Order for MR-350 Promaster, MR-350V Promaster Valved, M-20 Manji. Key range limited. FOR EVERYDAY MAINTENANCE AND OPTIMISATION!!! MASSIVELY REDUCED BY DISTRIBUTORS - RRP WAS $193!! HOHNER'S LATEST AND MOST EXTENSIVE TOOLKIT!!! AWAITING STOCK - SALE PRICE $566.10!!! UNIQUELY DESIGNED TOOL WITH USB INSTRUCTION!!! ALL TOOLS NECESSARY FOR REED REPLACEMENT!!! IMPORTANT: Power adapter required for operation in Australia. Dremel is European Mains Power and plug.